Pay-Off - Cable | Tensor Machinery Ltd. 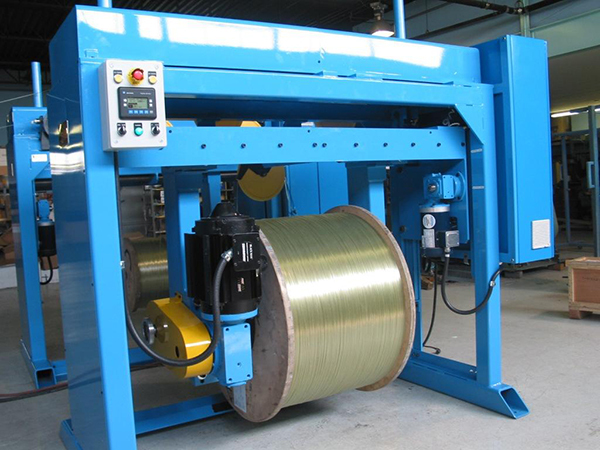 There are a variety of Cable pay-offs available, from smaller 800 mm reels to larger 2400 mm reels. Most of these pay-offs are driven with an AC Vector motor; however, some pay-offs have a simple pneumatic brake for tensioning. For faster speeds and better tension control, we recommend a driven pay-off design. 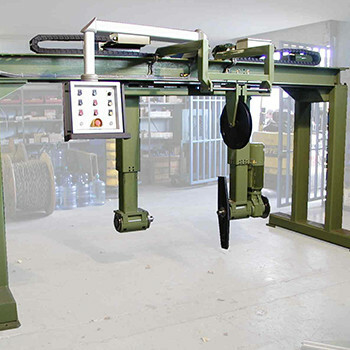 Tensor mainly designs Gantry-style pay-offs for large reels as shown here. Two arms extend down from a beam structure, which can open, close, raise and lower the reel into the run location. One arm has the drive arm and motor attached to it in order to drive the reel. 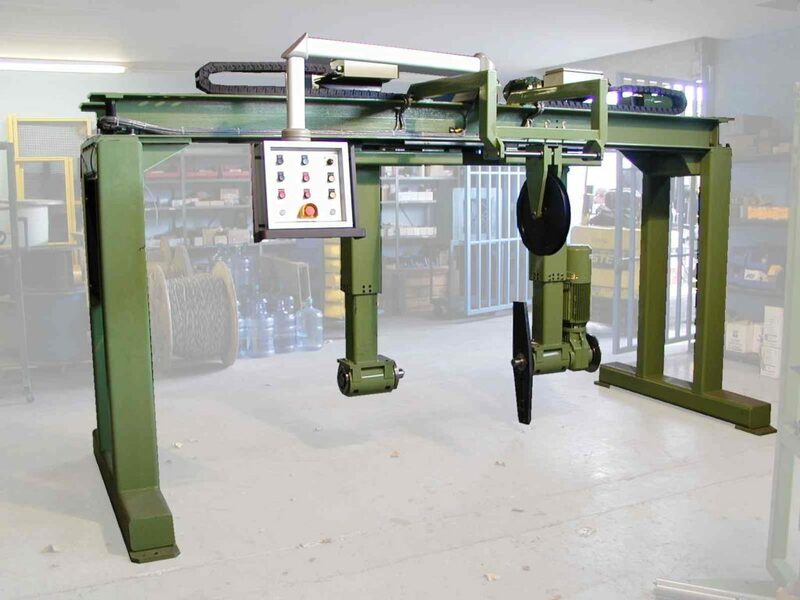 For reels up to 1250 mm diameter, we offer a smaller Gantry-style pay-off with a dancer/accumulator integrated with the pay-off. We can also integrate a number of other styles of pay-offs into our lines if a customer has a specific brand or style they want to use.